Posted on Mon, Feb 13, 2012 : 2:01 p.m. 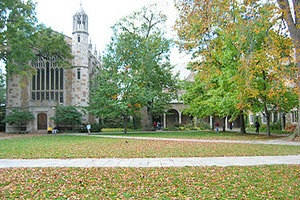 The University of Michigan will soon seek bids for $155 million in imminent construction projects. Renovations on the Lawyers Club will begin later this year. The school is seeking permission from the Board of Regents during a meeting Thursday to begin accepting construction bids and awarding contracts for the $116 million East Quadrangle residence hall and the $39 million Lawyers Club renovations, which will begin later this year. Regents approved the schematic design for Lawyers Club renovations in December. The upgrade will bring air conditioning to the 1920s-era dormitory and create additional community spaces for student residents. East Quadrangle, which houses roughly 860 students and the university's Residential College program, also will undergo a significant mechanical, electrical and aesthetic renovation. Both renovations are scheduled to begin after winter semester classes finish and will continue during the 2012-2013 academic year. Also to be discussed at the regents meeting: The school's College of Engineering wants to rename the existing Computer Science and Engineering Building the Bob and Betty Beyster Building because of a recent $15 million gift the family bestowed on the college. Wed, Feb 15, 2012 : 11:28 a.m.
How long till Mary Sue Coleman starts whining about budget cuts again? Tue, Feb 14, 2012 : 2:45 p.m.
As one who worked in the Construction Industry in Washtenaw County for over 40 years, I had always heard that the University's cost per square foot of construction, both new and renovation was one of, if not the highest, of all Institutions of Higher Learning in the Country. It would be interesting for AnnArbor.com to do a follow up on this issue. Tue, Feb 14, 2012 : 4:23 a.m. The U is in the process of cutting $300M from its general fund budget. While the $47M cut from the state is a lot of money, the handwriting has been on the wall about state funding. The money for capital improvements comes from their highly successful endowment fund. Unlike other schools like Harvard, the UM has not used endowment money for general funds and the UM can safely live off the interest, consequently they have the money for these needed improvements. Tue, Feb 14, 2012 : 3:57 a.m. Imagine, updating 90 year old residential buildings with new electrical, safety, heating, cooling systems, and other modern living spaces to meet the needs of today's students who actually pay to live in these facilities - if they choose to do so. What is the world coming to? Some logical people might say that a depressed economy might provide the university with leverage to get the best possible pricing relative to a stronger economy, while still stimulating the local economy, providing jobs, etc. Others will hate the University no matter what they do. Tue, Feb 14, 2012 : 3:26 a.m.
Thu, Feb 23, 2012 : 7:09 a.m.
Sparty, your arguments are a classic example of a FUD (Fear, Uncertainty, Doubt) misdirect. Interesting how you have nothing to say about the increases in housing costs well above the rate of inflation at UofM housing over the last 30 years. The $135K per bed figure also including classroom space is still relevant due to the vast majority of the space being simply dorm room space; to characterize this as a huge error and useless is absurd on its face and shows that you don't get math. The money UofM is spending on East Quad is consistent with other projects UofM has spent money on in the past. UofM spent $485 per square foot on North Quad (my 2175 sq ft house would have cost well over $1 million at this rate.) No private business would ever spend this kind of money on construction costs because you can never charge enough rent to recover the construction costs over any time period. So why does it cost so much? Well, if you require a Rolls Royce for your daily commute and a chevy just will not do, then yes the $250K you spend on your wheels as opposed to the $25K you'd spend on a chevy is &quot;reasonable&quot;. But is this a good use of public dollars? Absolutely not! UofM does this to attract out of state students who will pay top dollar to attend--good for UofM, bad for the residents of Michigan. Wed, Feb 15, 2012 : 3:43 a.m.
Do you not get the irony? East Quad contains a form AND a college, so your cost per bed is useless, do you understand that? Useless. Wed, Feb 15, 2012 : 2:47 a.m.
No, the nice try is on your part. Once again, can you do math? The point in shifting to Alice Lloyd was to show UofM spends about $100K per bed rehabbing dorm living space which is about twice what private developers are paying for new, student living space. The cost per bed worked out to $135K per bed for East Quad but this includes classroom space as well. So my point is that UofM is spending way more for student living space than private developers are spending. UofM is not using public resources well as shown by their mis-management of student housing on campus. UofM's dorm fees have gone up much faster than inflation over the last 30 years than inflation. Also, the ICC (a student owned and operated housing co-op) has kept their costs in line with inflation over the last 30 years, why can't UofM? Tue, Feb 14, 2012 : 7 p.m. I referred to East Quadrangle .... you made a huge error and then tried to cover it up by moving on to Alice Lloyd. Nice try. How do you know that the costs are out of line with the needed repairs? Are you in the construction business? An accountant? Have you seen a cost-benefit analysis looking at a new vs rehabilitation of this facility? At Alice Lloyd, if $54 million lasts for 90 years of hard use, then I would think that might be a good investment. Perhaps experts should be the ones to make those determinations - not armchair detectives. Tue, Feb 14, 2012 : 8:27 a.m.
Sparty, Can't you do math? UofM will spend $54 million rehabbing Alice Lloyd Hall which has no architectural significance and has 500-600 beds for around $100K per bed. We are not talking new here, we are talking about a rehab. Both Alice Lloyd, East Quad and South Quad should be torn down and replaced for a lot less than the $170 million that it will cost to only rehab only two of these buildings. UofM has raised the cost of student housing at a rate that has way out-paced household income in the state for the last 30 years. Tue, Feb 14, 2012 : 3:47 a.m.
Can't you read? It's 860 beds AND the Residential College Program, or are you over looking that &quot;instruction and learning experience for the states young college students&quot; that you refer to? In other words, it's a combined dorm and educational college program at East Quadrangle. Tue, Feb 14, 2012 : 12:10 a.m.
East Quad needed renovation 20 years ago. It's about time. Mon, Feb 13, 2012 : 9:17 p.m.
Will it be possible to keep the lawyers in the lawyers club and keep them from breeding more lawyers? Mon, Feb 13, 2012 : 8:14 p.m. I guess all the whining about cuts to education by Governor Rick Snyder were nothing more then hot air. Tue, Feb 14, 2012 : 1:19 p.m.
@johnnya2 What about the sidewalks in AA??? - I live on a street that has no sidewalks and yet I am now paying in taxes for the repair and or replacement. Tue, Feb 14, 2012 : 1:03 a.m.
Mon, Feb 13, 2012 : 10:19 p.m.
bhall thats kind of like a shell game isn't it? Never mind that FAT pocket full of money, my other pocket that I pay for educational stuff is empty. LOL! We have different bugets for different stuff where I work too, but when the boss wants something bad enough he/she finds it. Mon, Feb 13, 2012 : 9:55 p.m.
cinnabar, I'm pretty sure this is a totally different budget from the general fund, which was subject to cuts from Granholm, Snyder etc... Residence hall improvements are funded by residence hall rates, or borrowed against future residence hall rates. By the same token, the athletic budget is totally separate from the general fund, as is the hospital budget. Mon, Feb 13, 2012 : 7:54 p.m.
Air conditioning? C'mon! It's part of the U-M dormitory experience to sweat your you-know-what off during warm weather.